Special timetable running from Flinders St, Southern Cross and North Melbourne. 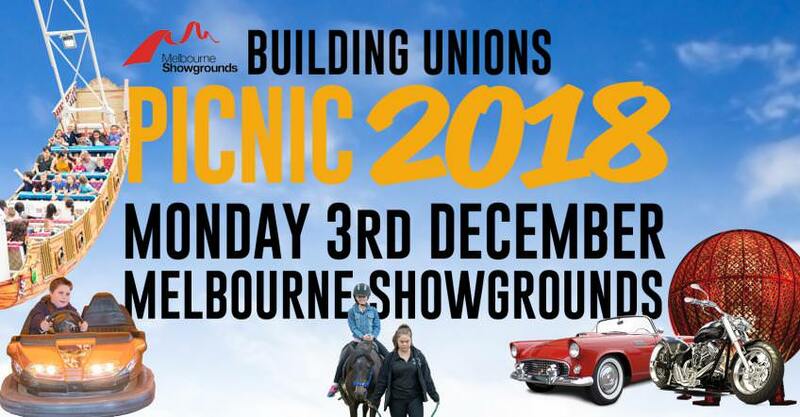 Tickets are available from Shop Stewards, the CFMEU Office or at the venue on the day. Wage payment for the day by purchase of ticket (with proof of attendance stamp). Train to Showgrounds - special services running from Flinders St, Southern Cross and North Melbourne stations. Parking at Flemington Racecourse (PAID) Epsom Rd.